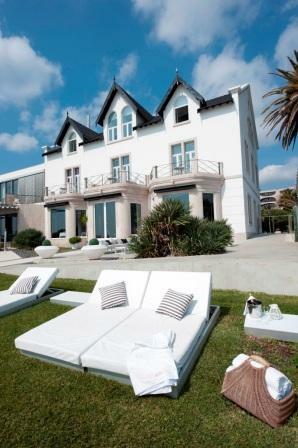 The Farol Design Hotel is located in one of the best positions in Cascais, just a short walk from the Marina, close to the resort town of Estoril and the famed palace at Sintra. 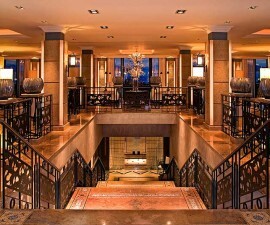 Thanks to its proximity to Lisbon’s International Airport visitors flock to the hotel not just from all over Portugal but from far flung corners of Europe and beyond to enjoy its dramatic setting, contemporary design and relaxing ambience. 33 guest rooms including three suites and nine designer rooms are on offer at this mid-sized hotel, which is small enough to retain a friendly and welcoming atmosphere yet large enough to offer a good range of five-star facilities. 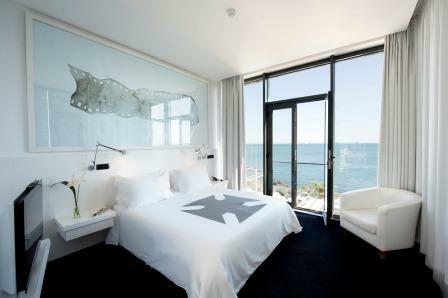 Each of the nine designer rooms have been designed by an acclaimed Portuguese or international fashion designer, providing a unique twist to the already-contemporary designer hotel setting. 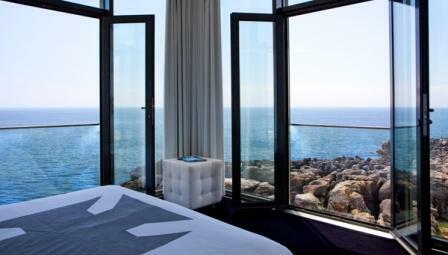 Each of the designer rooms comes with stunning sea views and balcony. Eleven land rooms open up to a private, secluded garden while the standard sea view rooms come mostly with balcony. Three suites complete the room collection, each with terrace or glass front offering 180-degree panoramic views out over the ocean. 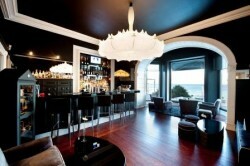 The Farol Design Hotel offers some of the most pleasant dining and drinking spots in the Cascais area. Chef Hugo Silva specialises in modern Mediterranean cooking with his own unique Farol twist, served in The Mix restaurant. 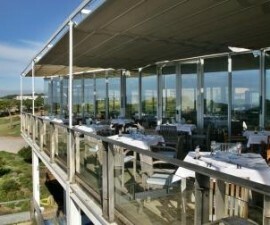 Here diners can enjoy expansive Atlantic views from the terrace, enjoy the tasteful design/led décor inside or even book the Private Mix dining room for small groups of between ten and thirty diners. Sushi Mix serves some of the best sushi and sashimi in the area. Here, Chef Pekel prepares a tasty fusion of Japanese skill and delicacy with freshly caught fish and seafood from the local Atlantic waters. Open throughout the summer months the Rocks Bar is the perfect setting for an afternoon drink or pre-dinner cocktail, while Out on the Rocks Bar makes a great spot at any time of day to relax to the sounds of ambient music and drink in the beauty and uniqueness of your surroundings. Guests who want to get out and about and explore their local surroundings are well placed to do so at the Farol Design Hotel. 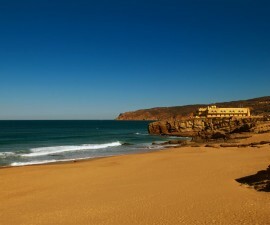 Cascais is one of Portugal’s most sought-after locations and offers plenty to see and do right on the hotel’s doorstep. While not offering a great many extra amenities, the charm of this hotel is in its setting, its ambience and its contemporary styling. This is a place to come and relax in the cliff-top outdoor pool, sip a cocktail from the extensive list and reflect on how good life really can be.